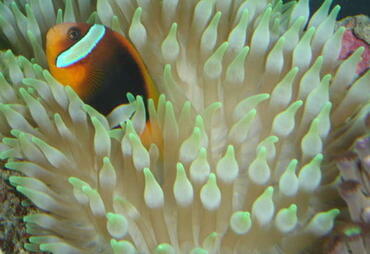 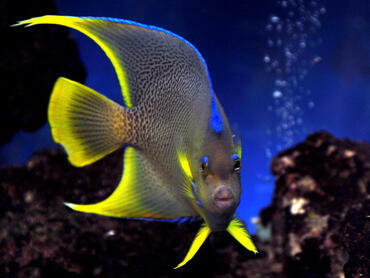 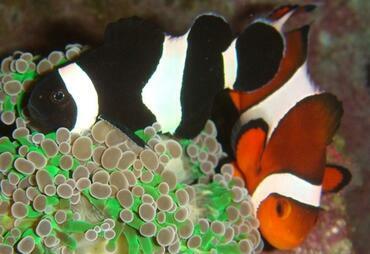 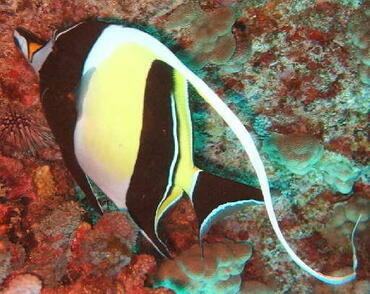 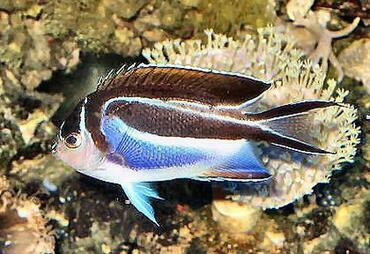 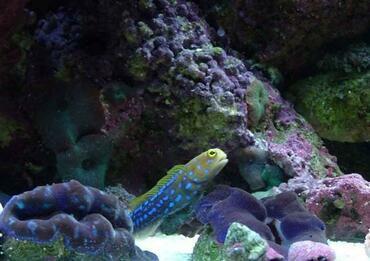 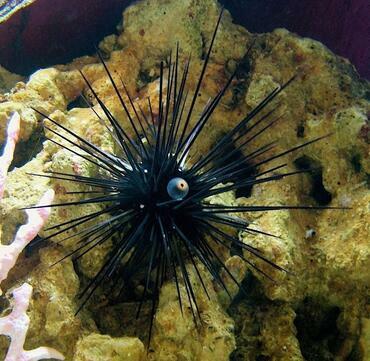 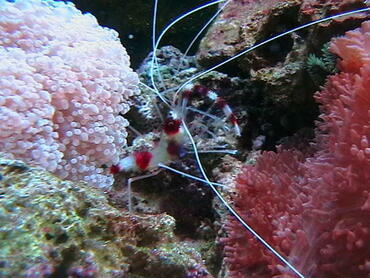 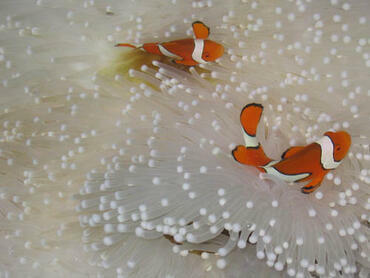 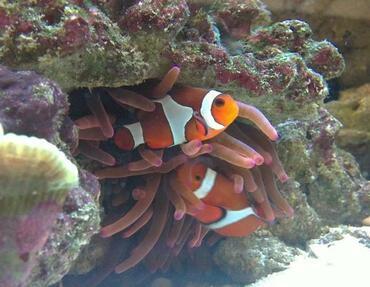 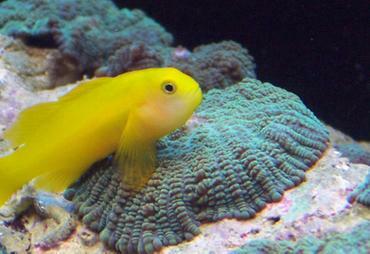 When it comes to decorating your saltwater or reef tank, you have to be careful about the decorations you choose. 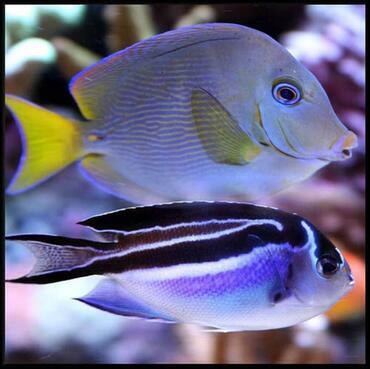 A saltwater environment is a delicate one – not only do you need to be extremely careful about maintaining the right salinity and water chemistry levels, but you have to be mindful of all of the organisms living in your tank – even the ones too small to see. 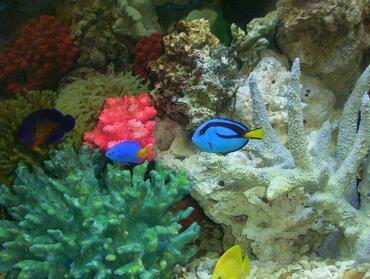 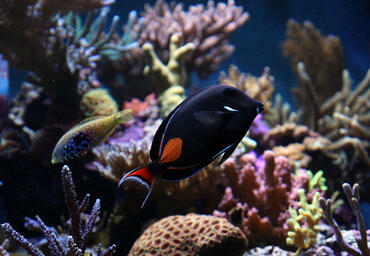 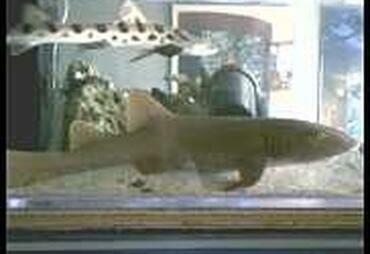 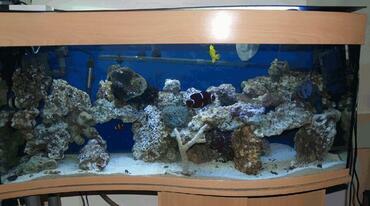 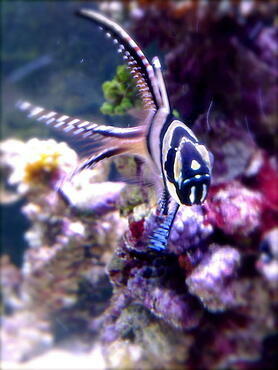 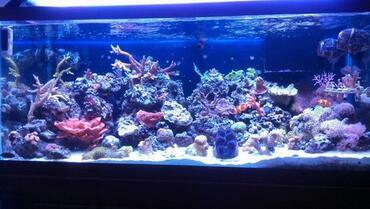 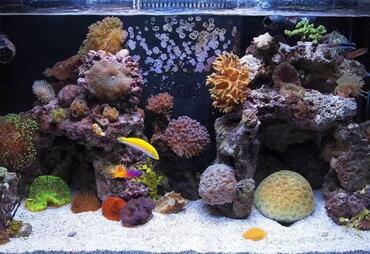 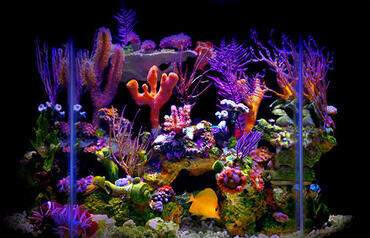 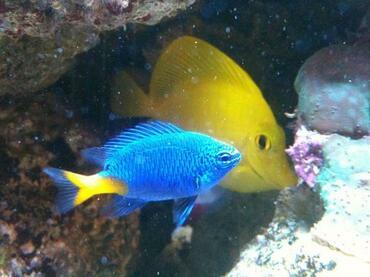 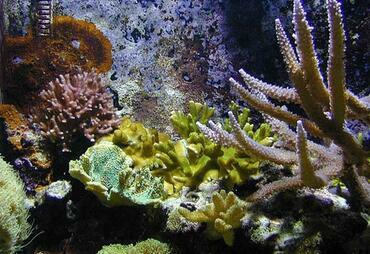 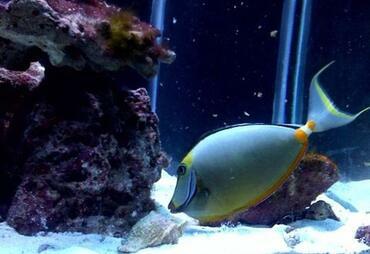 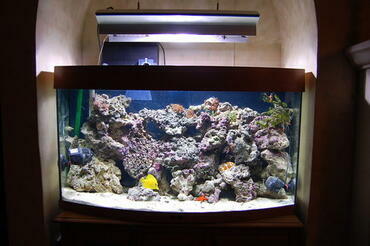 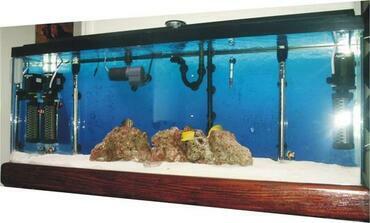 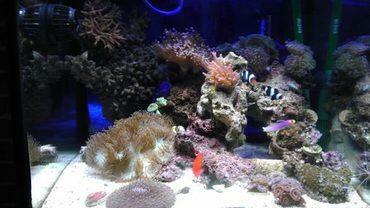 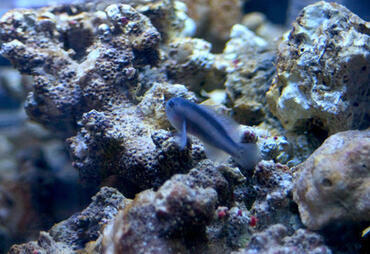 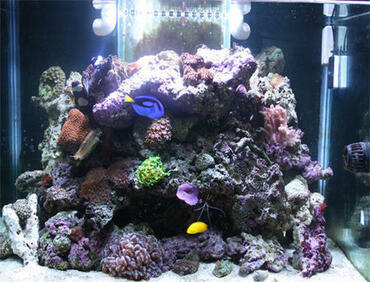 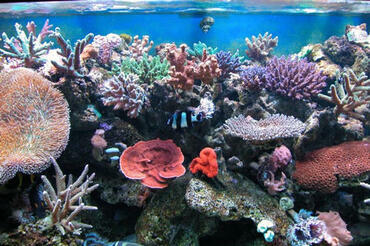 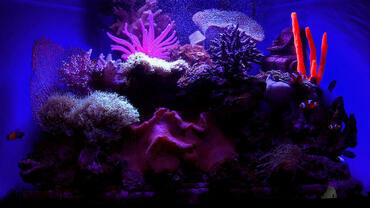 In a saltwater tank, rockwork serves multiple purposes, all of them important. 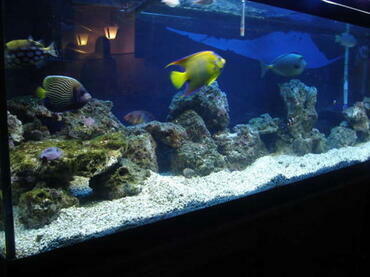 For one thing, rockwork acts as your main decoration. 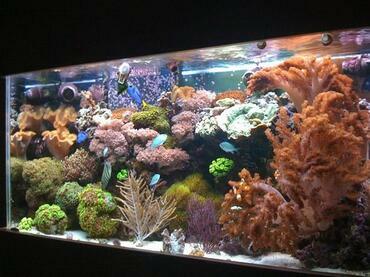 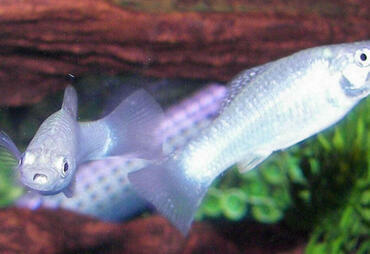 It adds dimension and visual interest to your tank. 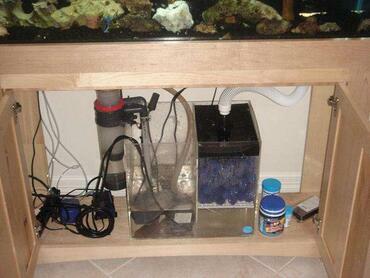 On a more practical level, it provides your saltwater fish and invertebrates with places to hide. 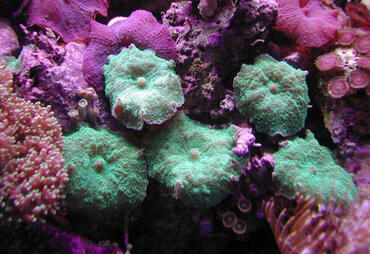 Finally, it provides a surface on which beneficial bacteria and other helpful microorganisms can grow and thrive. 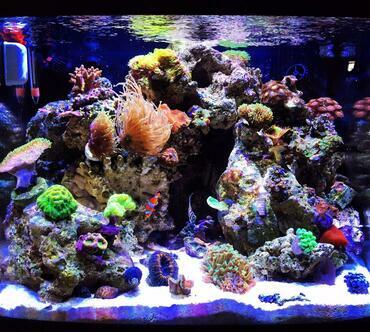 To decorate your saltwater tank, you can’t just use any old rocks you find lying around. 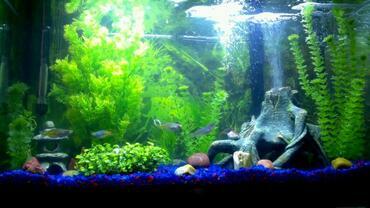 If you gather rocks from your backyard or from the local stream they could contain toxic metals and other harmful elements like copper, or arsenic. 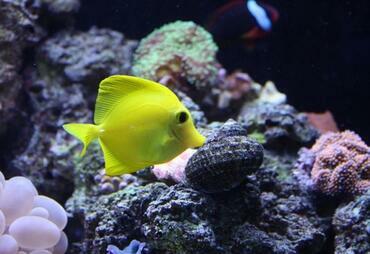 You can’t always tell just by looking at a rock what it’s made of, so you need to be extra careful. 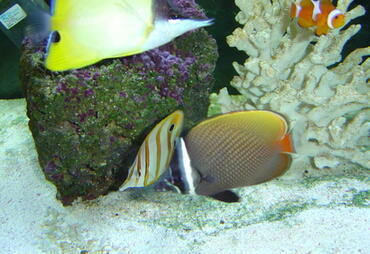 When it comes to rockwork for saltwater and reef tanks, your best bet is to only use rocks you purchase from a pet store or an online retailer – the rocs must be cured to make them safe for use in a fish tank, otherwise they could leech dangerous chemicals, pesticides, or other poisons into the water and kill your fish. 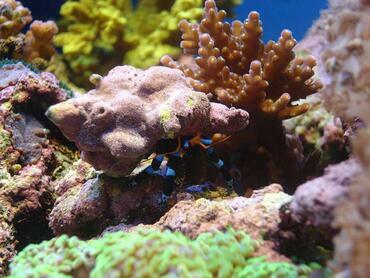 Live Rock – This type of rock consists of the dead skeletons of old coral that have been colonized by small invertebrates and other marine organisms like algae, sponges, and marine worms. 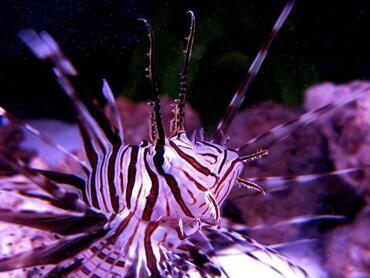 More importantly, live rock contains beneficial bacteria that help to maintain the nitrogen cycle in your tank – the cycle through which wastes are broken down and converted into less harmful substances. 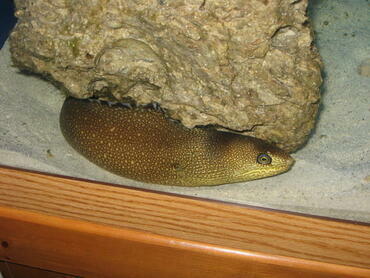 Base Rock – This type of rock is the same as live rock except, of course, that it is not alive. 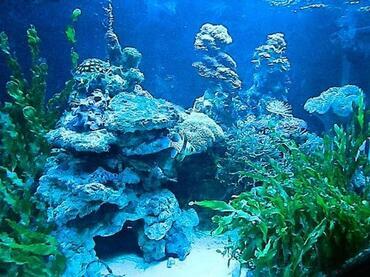 These rocks also consist of the dead skeletons of old coral, except that it is typically sold dry which means that nothing on it is living. 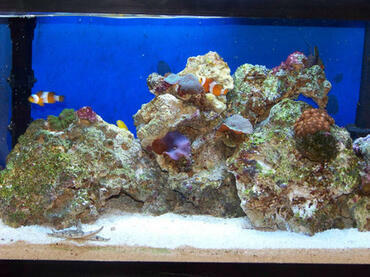 This type of rock should be cured before use, but it is generally more affordable than live rock. 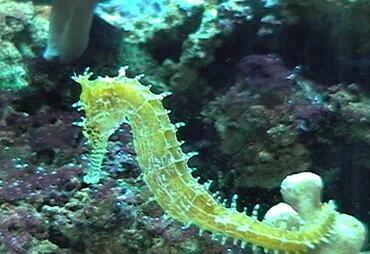 Fake Rock – This type of rock is usually made up of ceramic or a combination of cement and aragonite sand – you can even make it yourself. 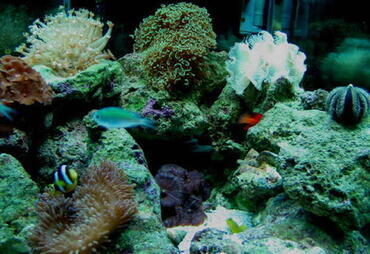 In many cases, fake rock looks almost identical to live rock or base rock. 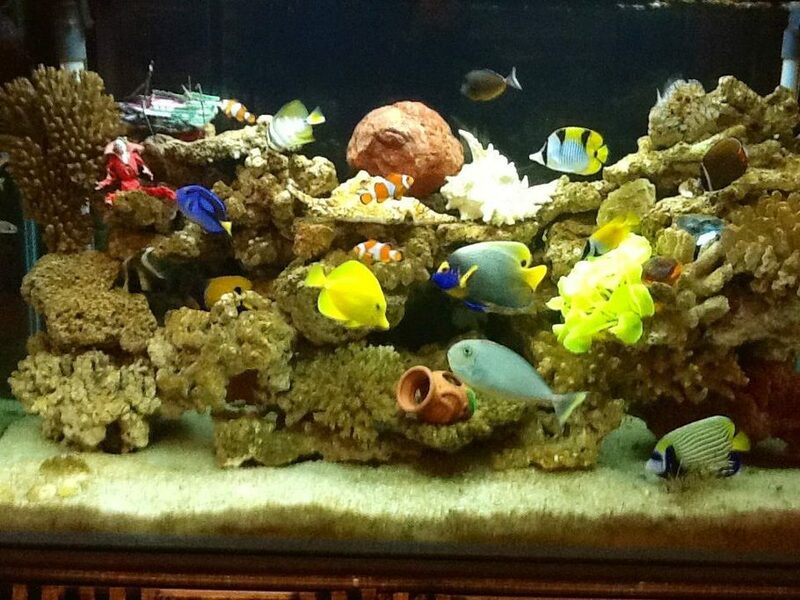 The benefit of this type of rock is that it can be made into unnatural shapes, either for visual interest or to cover things in the aquarium. 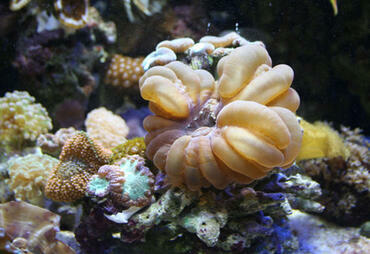 These are the only types of rock that are safe for use in your saltwater or reef tank. 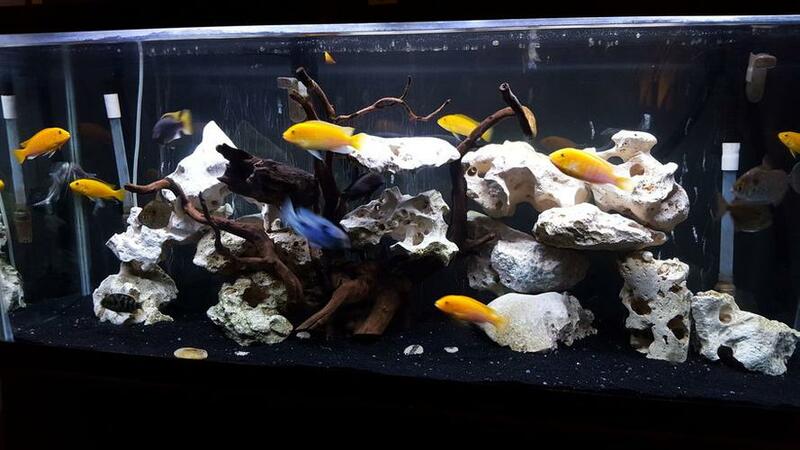 Before you use any of these types of rock, always make sure that they are clean – this is especially important for fake rock and base rock that has been sitting around for a while. 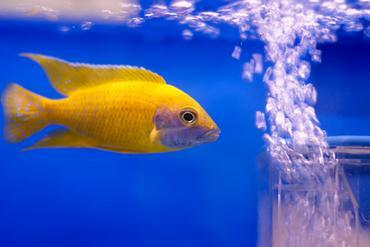 Live rock has been kept in water in order to keep it alive, so it is less likely to have gathered dust or been contaminated. 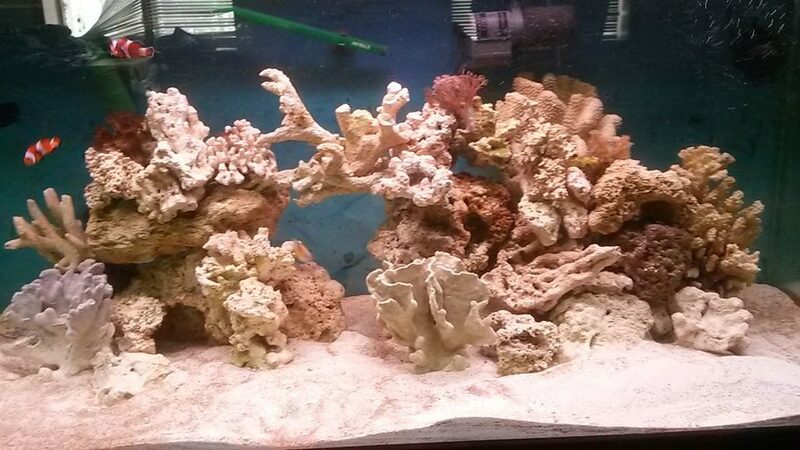 You can certainly make your own rockwork for a saltwater tank, but you will have to go through the process of curing it before you use it to make sure that it is safe. 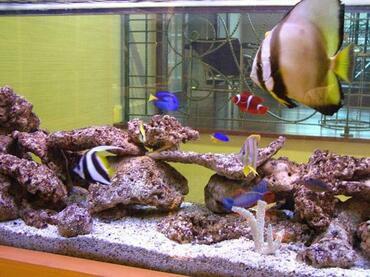 You can learn more about making your own live rock here. 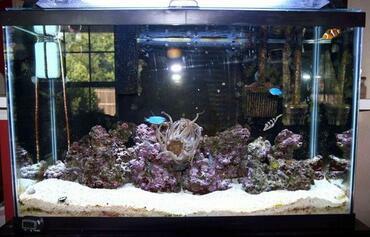 Now that you understand the different types of rockwork you can use in your aquarium, you next need to think about how you are going to arrange your rocks. 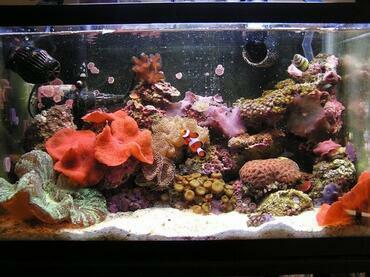 There are a few standard arrangements that work very well in saltwater and reef tanks, though you really have the freedom to do what you like. 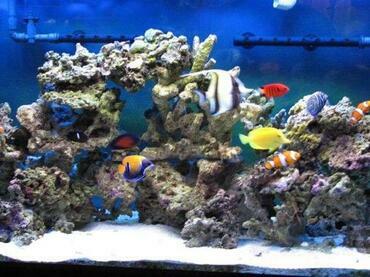 One of the most common arrangements is simply called a rock wall and it consists of stacking rocks on top of each other all the way from the front of the tank to the back, creating a sloping wall that is low in the front and high in the back. 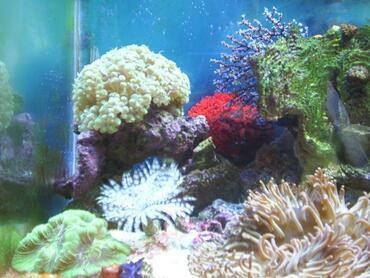 This is particularly useful for reef tanks because it gives you plenty of places to anchor corals. 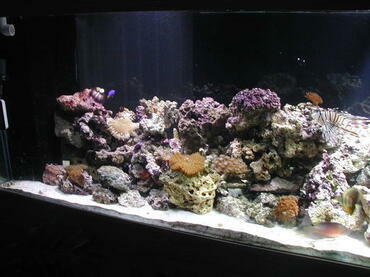 Depending on your tank size, however, it can take a lot of rock. 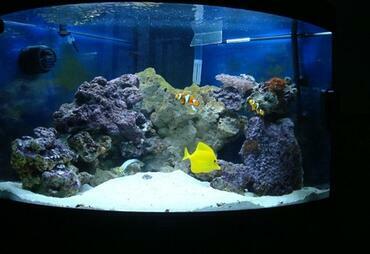 Another common arrangement for rockwork in saltwater and reef tanks is a modification of the wall – it slopes up from the front of the tank to the back, but also from the sides. 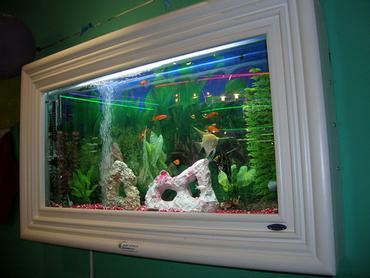 This arrangement leaves more open space for swimming and it also allows for greater visibility. 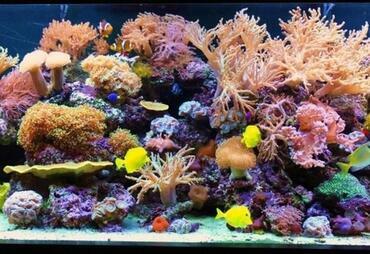 The only downside is that there is less space to anchor corals, but that is only a problem if you want to incorporate corals – you can have a perfectly lovely saltwater tank without them. 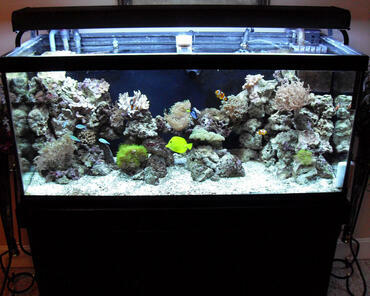 You can also make separate stacks or piles of rock in the different corners of the tank or in one corner. 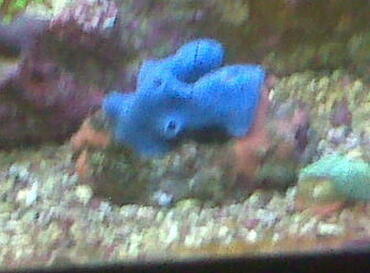 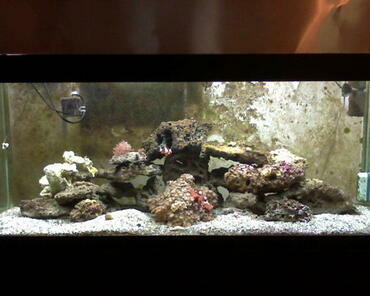 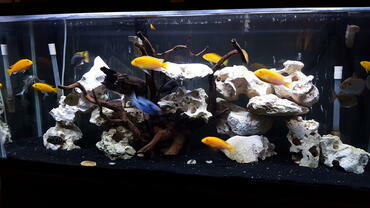 Again, it is really up to you how you choose to arrange the rockwork in your tank. 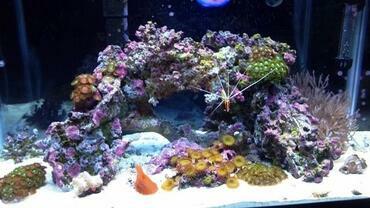 In addition to thinking about what kind of rock you plan to use and how you plan to arrange it, you have to think about some of the more practical aspects of arranging rockwork in your tank. When stacking your rocks, try to leave some spaces between them. 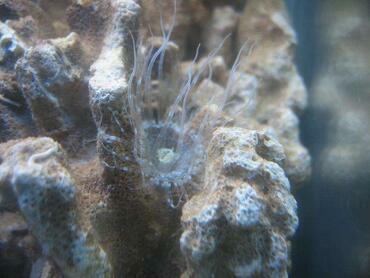 This means that there will be cracks and crevices where fish, invertebrates, and other tank inhabitants can hide. 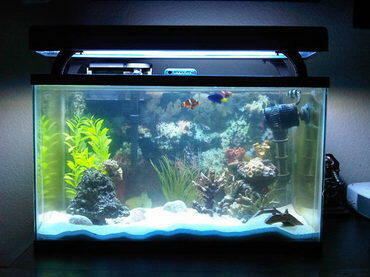 It is usually best to use the largest pieces on the bottom of the tank and to stack gradually smaller pieces on top, depending what kind of arrangement you are going for. 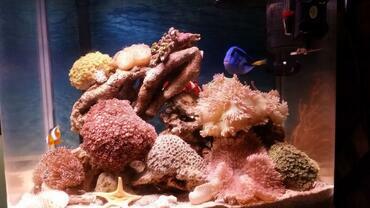 Don’t be afraid to play around with different arrangements to find which piece fits best in each place. 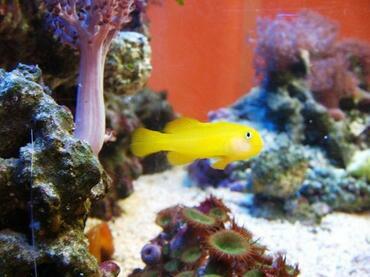 You also want to make sure that every rock you place is just as stable as the one underneath it – the last thing you want is a rock avalanche to come tumbling down on your fish. 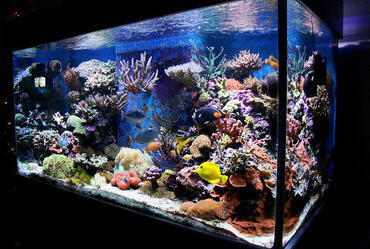 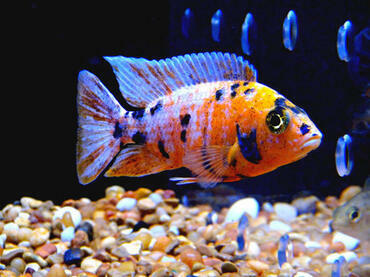 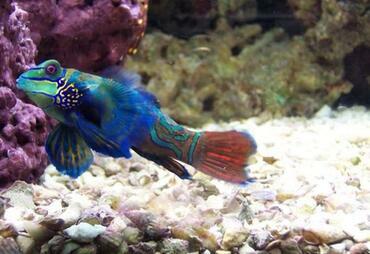 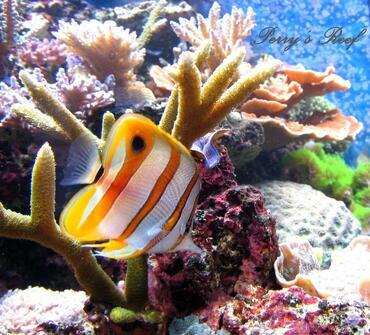 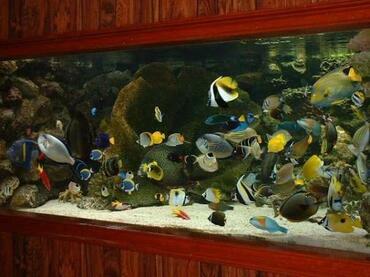 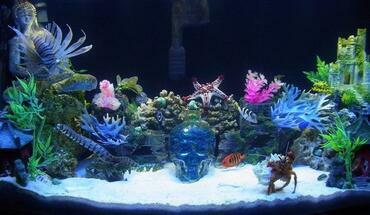 When it comes to decorating your saltwater aquarium you have the freedom to do just about whatever you want. 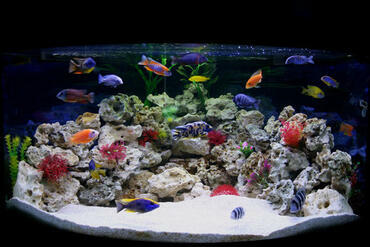 If you want to create a natural look in your tank, however, the chances are good that you’ll do it with rockwork. 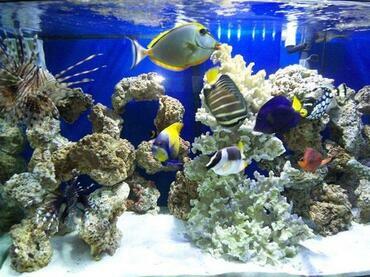 But putting to use some of the tips and tricks in this article you can make the most of your rockwork decorations to create a tank environment that looks great and meets the needs of your saltwater fish.